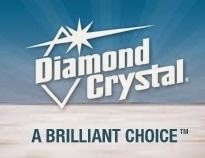 Get a free water test kit just contact the Diamond Crystal® Salt Team. Just click the link below to go to the website to sign up. Once on the website just fill out the form with your mailing information to receive your test kit by snail mail. I am so thankful I received my free test kit it was very quick & easy to use to test my water.